Okay, the real story is this: Back in the early 1990s, on a Sunday night at a brewpub in Portland, Oregon, our brewer, Eric, met his future wife, Heather. Their love of craft beer led them to a home-brewing course and once married, spent the next 20+ years moving from coast, to coast, and places in between, courtesy of the U.S. Coast Guard. At all locations, Eric continued to brew, learn, refine, tweak, and brew more. The military lifestyle is nomadic and with gypsy blood in Heather’s veins the name Gypsy Brewing Company was an obvious choice. The gypsies have settled in Southern Maryland and opened a brewery. We are a small, veteran-owned production brewery in Calvert County. Beers range from historic to experimental using a combination of the finest local and global ingredients available. We have no tasting room, so the plan is to participate in local farmer’s markets and eventually pursue a few draft accounts in the local area. 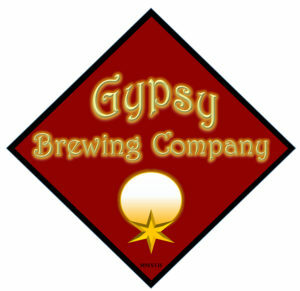 We at the Gypsy Brewing Company are thrilled to be a part of the vibrant Maryland beer scene, and spreading our good fortune one glass at a time. Cheers! Find Our Local Members on Our Interactive Maryland Beer Map.